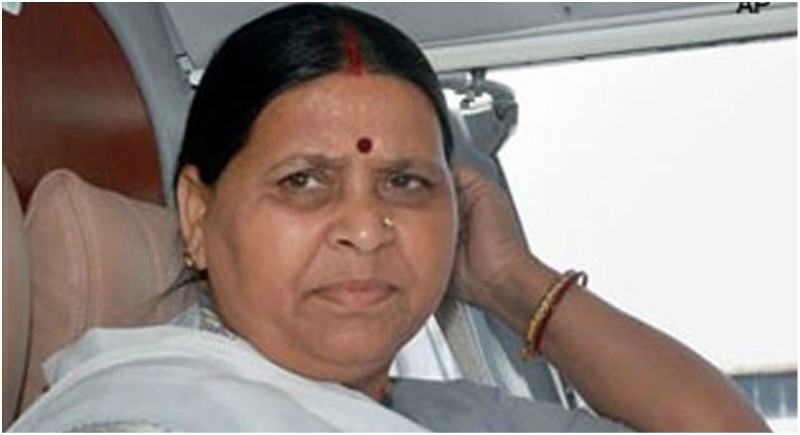 Patna, January 31: In Bihar, Income Tax department has seized three properties in Patna belonging to former Chief Minister Rabri Devi of RJD and her daughter Hema Yadav after investigations revealed that the properties were acquired illegally. The three properties were gifted to Rabri Devi, wife of RJD chief Lalu Prasad Yadav, and Hema Yadav by two of the family’s domestic servants, who, the IT officials found, were too poor to acquire them in the first place. An Income Tax official said both the men were too poor to buy the plots and do not file income tax returns. The official added that the money was clearly paid by someone else. Former Bihar Chief Minister Lalu Prasad Yadav, Rabri Devi, son Tejashwi were granted bail by a Delhi court on Monday in the IRCTC scam case. The case relates to alleged irregularities in granting the operational contract of two IRCTC hotels to a private firm. The Patiala House court granted bail to Lalu Yadav and others on a personal bond of Rs 1 lakh and a surety amount each. The next date of hearing is February 11.